Architecture of the House: Impressive Gothic Revival sandstone, two storey mansion completed in 1853. Construction of the southern portion of Nugal Hall was commenced around 1854 by Judge Thomas Callaghan. 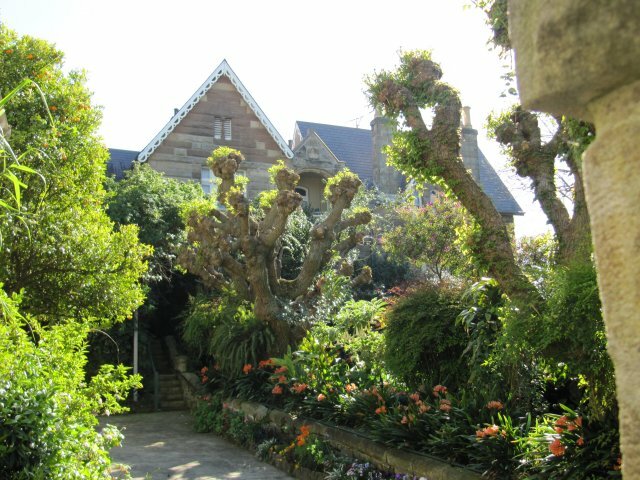 The northern portion was completed by Dr Fred Tidswell, the owner of the Coogee Bay Hotel, who occupied the house from about 1883 until 1903. ANOTHER page is about to turn in the history of the National Trust-listed Gothic Revival mansion Nugal Hall, known affectionately as Randwick’s own Downton Abbey. With the death of Helen Campion, the matriarch and fearless defender of Nugal Hall for the past 40 years the magnificent mansion, that was designed by colonial architect Mortimer Lewis, could be put on the property market early next year. The living room of Nugal Hall. Patrick Campion, the third eldest of Mrs Campion’s six children, said his mother, who was born on January 10, 1928 and passed away on October 22 this year, was the eldest of six children. She spent her primary school years in Strathfield in Sydney’s inner west but when World War II broke out she was sent to a boarding school in Moss Vale “to keep her safe” and after school she started training to be a nurse at St Vincents Hospital in Darlinghurst. Helen Campion is pictured at Nugal Hall, Randwick’s most historically significant site. It was here she met the dashing young doctor Frederick John Campion, known as John, who was to become her husband, father to her children and fellow adventurer in life. Huge stone mansion in Picturesque Gothic style. A very fine example of the style with some outstanding decoration. Complex, steep pitched roof, now in terra cotta (slate originally?). Elaborately carved barge boards on gables and gablets. Tall chimneys. 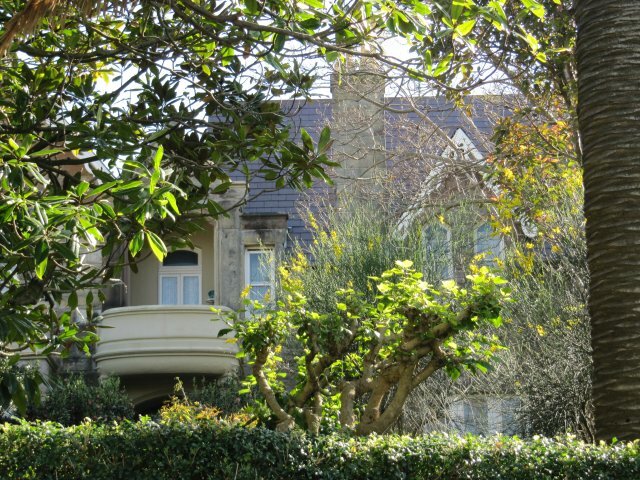 Magnificent rounded balcony feature on one side (with views towards sea) and conical roof. Large grounds,extensively planted, with stone retaining wall. Hard to see bottom half of building due to planting but no major alterations apparent. Partly covered in vines. of special interest is a stairwell/staircase of balanced proportion above which is an exceptional stained glass skylight dome. Stonework, joinery and copper turrets in good repair interior fireplaces and ceiling rose. Continental ceramic tileware is immaculate. The original coach house also survives. Excellent stone fence. The house sits well in its grounds and is visually important locally. (AHC, 1997). Although its grounds have been subdivided from their original 200 acres, resulting in the house’s entry being now from its original rear side, the house’s original front address facing the ocean and wide views remain nonetheless. An established garden surrounds the house which includes palms such as the Canary Island date palm (Phoenix canariensis) and Californian desert fan palm (Washingtonia robusta) as well as pollarded plane tree (Platanus x acerifolia), sandstone retaining walls and shrubberies (Stuart Read, 20/1/12). Despite some 1920s and 1930s decorative additions, the twelve principal rooms retain their original forms. Of special interest is a stairwell/staircase of balanced proportion, above which is an exceptional stained glass skylight. Elegantly shaped windows, fireplaces and interior columns of marble. (Pollen, 1996). 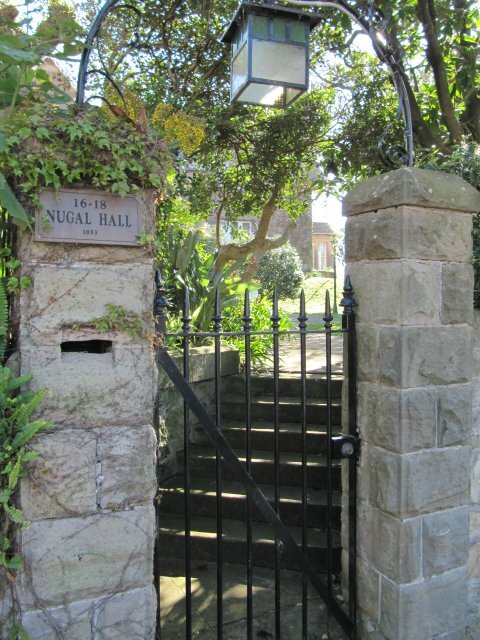 Although not of the very high quality of a few Sydney Gothic Revival houses, Nugal Hall is nevertheless impressive. It is of particular importance in Coogee/Randwick where increasing high rise development has deprived the area of much of its architectural history (AHC, 1997). 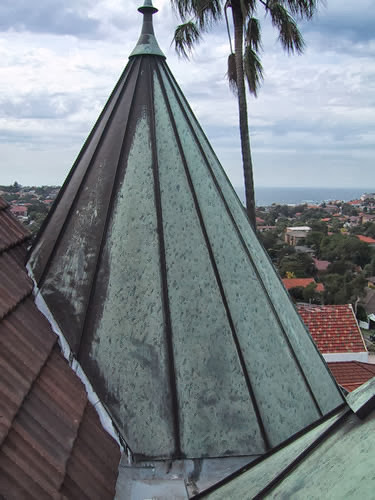 There was eight full years of renovations before a hailstorm in 1994 caused extensive damage to the roof and beautiful lead light features and the battle to have the insurer cover the costs was the first of many fights Mrs Campion would take on in the name of Nugal Hall over four decades. The roof was badly damaged by the 1999 hailstorm. The owners decided to replace the existing tile roof with a new slate roof to bring the building back to its original grandeur. The property was scaffolded and the tiles replaced with new battens, sarking, heritage-quality Canadian Trinity slate secured with copper clouts and new copper valleys and curved copper ridge. Deteriorated guttering at the front was replaced with new copper guttering with hand-fashioned copper ends. The property also has a rectangular metal roof and box gutter system between the steeper roof faces in the centre. The box gutter was deepened and the metal roof given a different pitch so that in the future there would be no blockage of the box gutter if another hailstorm were to hit Sydney. 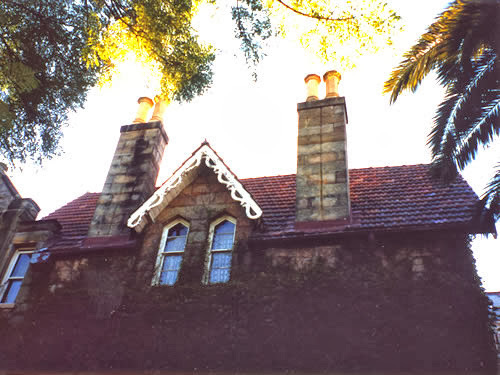 In 1957, Nell Pillars founded the Randwick Historical Society while living at Nugal Hall and as such it became the Society’s first headquarters. The land on which Nugal Hall was built was originally part of a land grant to Alexander Arthur, in 1851 by Governor Fitzroy, of 200 acres. 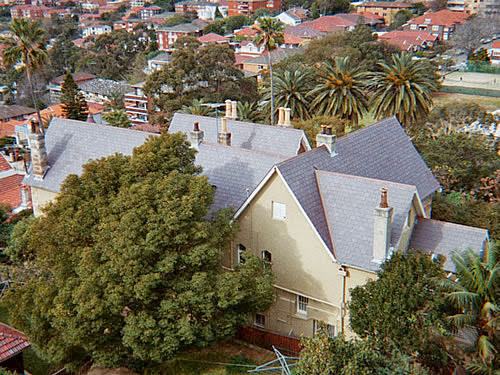 Nugal Hall was designed by the Colonial Architect, Mortimer Lewis who came to Australia and worked from 1830 to 1861. This would have been one of his last buildings. Ticket of leave men were most probably employed in the building of the house, the stone being quarried on the spot. The house was completed in 1853 to the design of architect Mortimer Lewis in the Gothic Revival style for politician and businessman Alexander McArthur. Alexander McArthur was a Member of the Legislative Assembly of New South Wales during two Parliaments and Magistrate of the Territory until he returned to England in 1863. Famous residents of Nugal Hall include Sir John Pendent, who was born there. His father Magnus J. Penden was Mayor in 1869 and resided there from 1865 to 1872. Cousins Spencer, the first person to show films in the Lyceum Theatre lived there until 1911. Two Mayors of Randwick and two consults were also residents of Nugal Hall. It is believed that the construction of the southern portion of Nugal Hall was commenced around 1854 by Judge Thomas Callaghan. 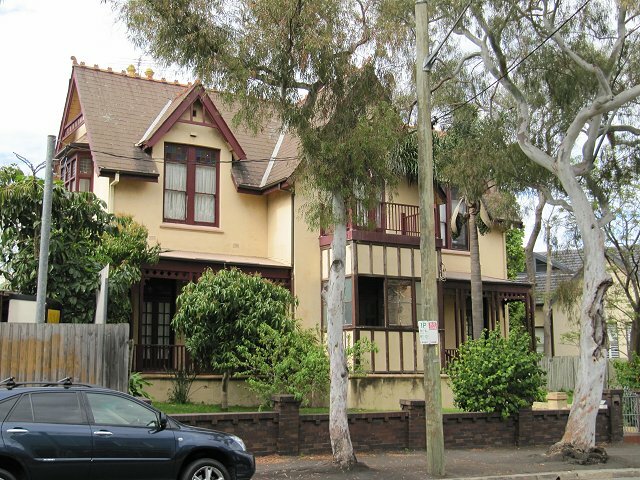 The architect is thought to have been Oswald H Lewis, who carried out work for the Callaghan family in Randwick and who practised as an architect with his father, the former Colonial Architect Mortimer Lewis. In 1981 an application for a Permanent Conservation Order over Nugal Hall was made by the then owner Mr F.J. Campion. When Mr Campion purchased Nugal Hall is was divided into 5 flats and he subsequently returned it to a single dwelling. To offset the restoration costs rating and taxation concessions were sought under the Heritage Act. In addition to this the building was considered to be of significance to the State to make a Permanent Conservation Order.